Henley Honda | Vehicle Maintenance | Regular Gas vs. Premium Gas…Which Fuel's for You? Regular Gas vs. Premium Gas…Which Fuel's for You? Do you get sticker shock every time you pull into the gas station? 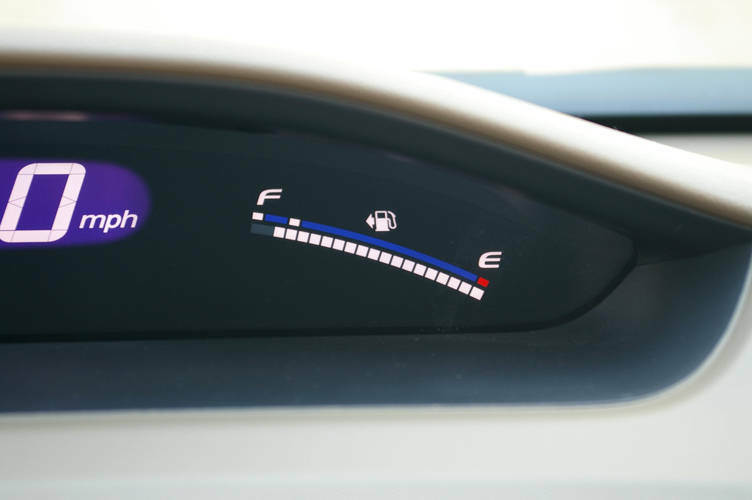 Do you feel your anxiety rise as your gas gauge drops? We totally get it. Gasoline prices have hit all-time highs in the past year and it’s even more stressful when you see your choices (that only get more expensive as the gas grade gets better). So what’s the deal? Do you need to put that high-octane fuel in your tank or can you stick with regular? Let Henley Honda clear the air on gas grades for you. Gasoline ratings are based on octane — most commonly you’ll find regular (87), mid-grade (89) and premium (91-93). Different gas stations have different names for their fuel types, so watch the numbers. Octane ratings have nothing to do with power. A higher rating means the fuel is less likely to cause detonation (also called knock or ping) in your engine, which means you won get spontaneous combustion in your engine cylinders independent of the combustion made by your spark plug. The higher the octane rating, the slower the burn, making it less likely to ignite without that spark. This is the easy part — just check your owner’s manual. Most cars are meant to run on regular fuel and your owner’s manual will confirm if this is true for your vehicle. However, high-performance vehicles with high compression engines will need a higher grade of gasoline. Normally, your vehicle will not benefit from using a higher octane gasoline than is indicated in your owner’s manual, so close that wallet. If your manual tells you regular will do the job, there’s no real reason to spend more on your fuel. That said, if your engine knocks with the recommended fuel, have it checked out and decide if a higher grade of gasoline is necessary. Sometimes vehicles may know because of variations in manufacturing or because of an out-of-the-ordinary build up of engine deposits. Don’t jump to the conclusion that higher octane fuel (and more money in your tank) will solve the problem, let your service department take a look first, before you’ve thrown unnecessary money at the problem.